Based on Robert Kirkman's comics, The Walking Dead is essentially a zombie movie that 'never ends' (or at least will go on much longer than any zombie movie or even series of zombie movies). Frank Darabont, the much-feted director of The Shawshank Redemption and The Green Mile, has applied his writing and directing skills to Kirkman's comic to create something quite impressive. The Walking Dead's opening episode is bleak and cinematic, with Rick's predicament ably transmitted through Darabont's claustrophobic direction and Andrew Lincoln's superb performance as Rick. Lincoln, a Brit best-known for his comedic role in Teachers, plays Rick's frustration, fear and concern for his missing family to perfection. 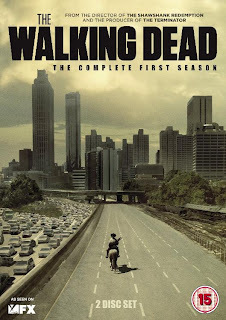 The first episode, with Rick alone against the zombie hordes, is arguably the best, but the remainder of the short first season, which sees Rick link up with a band of survivors outside Atlanta, is only a notch down in quality. The rest of the first season concerns itself with the survivors arguing over what to do next and explores the dynamics of the group. Rick's old cop partner Shane has been leading the group, but finds himself supplanted by Rick, which leads to some tension. Two of the other members of the group are racist thugs, setting up tension with the black and Hispanic members of the group, whilst another survivor takes out his frustrations and anger with the situation on his wife. It's not a happy group, and the writers and directors do a good job of exploring the characters and their interactions whilst remembering to bring the zombies on every once in a while to cause mayhem. Production values are extremely high. The zombie effects are great (a couple of them are obviously fake heads over ordinary people's faces, but these are very rare), up there with the best movies, whilst Atlanta (population 5 million, including the surrounding area) looks convincingly abandoned and bleak. There's a couple of ropey CGI explosions, but beyond that, The Walking Dead looks and feels like a big-budget movie. The story unfolds at a pretty good pace, though there's a couple of divergences in the second half of the season and a few moments of possible wheel-spinning. However, given that one of the appeals of the story (in both comic and TV form) is that it has the time to show such side-plots and explore the fall of America to a zombie horde in greater detail than a film or novel, that's not an invalid thing to do. By the end of the season there's also a renewed sense of purpose, as the survivors realise that the CDC (Centre for Disease Control) HQ is in Atlanta and may have some of the answers they are looking for. This marks the biggest change from the comics, where the CDC is not mentioned, but as Robert Kirkman (who wrote the fourth episode of the series) points out that's only because he didn't know it was there. If he had, the comics would also have gone there. This sets up a number of interesting possible storylines for Season 2. 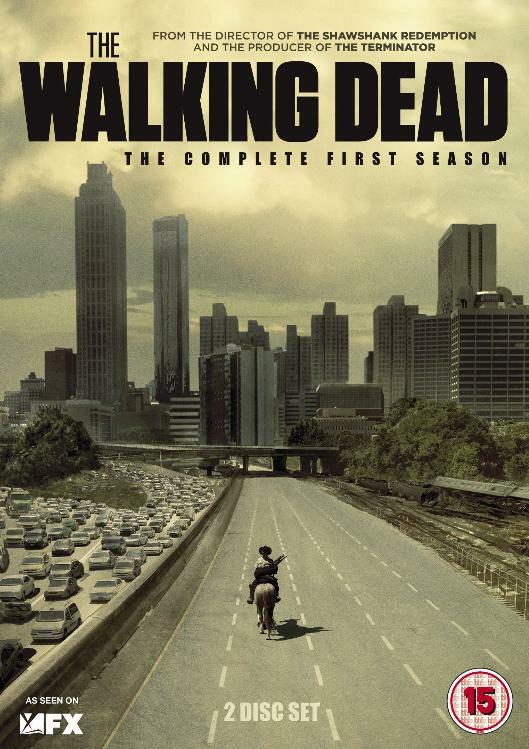 Season 1 of The Walking Dead (****½) is a terrific, well-paced and well-acted post-apocalypse series. Let down only by a couple of meandering story threads, it's otherwise a great piece of television. The series is available now in the UK (DVD, Blu-Ray) and USA (DVD, Blu-Ray). I believe that you vastly overestimate the series' worth. It's characters are far from interesting or even engaging, there is some nonreflective sexism going on, the 'human' stories are emotionally tripe and far from imaginative. In the end, "The Walking Dead" is an over-hyped programme that didn't deliver what so many who had hoped for a vindication of genre trash whished for. Sure, it looks nice, but production value cannot make up for bland writing or stale characters. I thought the last episode was just plain terrible. with no redeeming moments at all! Although, I do admit that that the first one or two episodes were terrific. I agree with the comments. This series is overrated and I coudn't care less for most of the survivors. It started well enough, but went downhill after that. Wow I'm really surprised at the negativity. I think the show rocks and am very much looking forward to the second season. Want to wish Gene Wolfe a happy 80th birthday?